Whether it happens because of injury, age, or infection, losing multiple teeth can be a devastating blow to your confidence, not to mention your health. If left untreated, missing teeth can lead to major shifting in your smile, bite collapse, and higher risk of gum disease. Many people prefer dentures or partials to hide their missing teeth, but these devices often have a history of coming loose, leading to humiliating slip-ups when speaking or eating. Worse, they don’t protect against one of the worst effects of missing teeth: bone loss in the jaw. 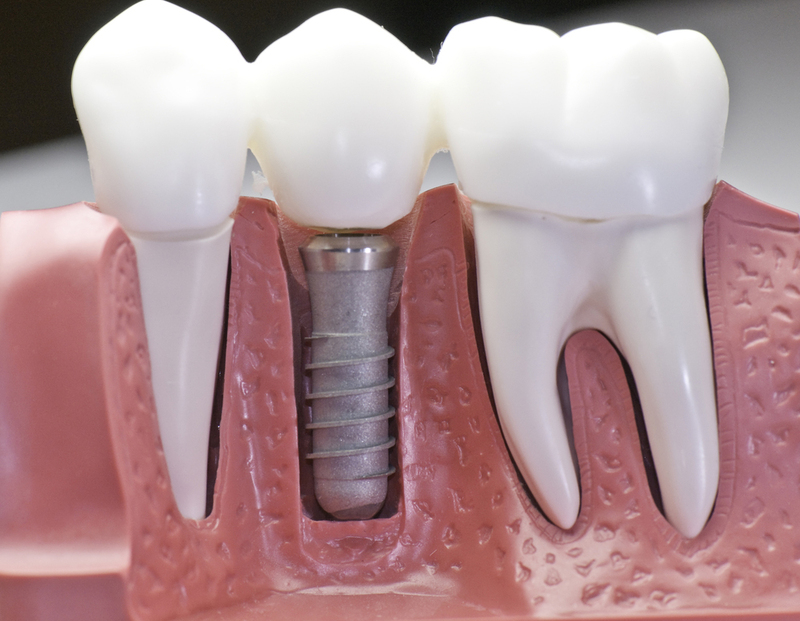 Here at Horsham Dental Elements, we’re committed to providing you with the most effective, up-to-date service available – that’s why in our last blog post, we discussed the various benefits of dental implants. 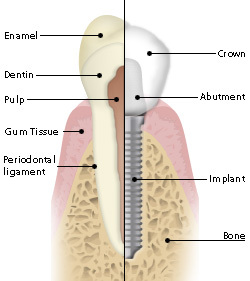 But did you know that implants expertly placed by Dr. Henkel can also be used to anchor and support dentures? With the help of implant-supported dentures from either our Horsham or Philadelphia office, you can finally have a brand-new smile that’s both seamless and stable. Dental implants are a relatively new dental technique, and one that can be used for multiple restorative purposes, implant-supported dentures being just one of them. The process is simple enough – first, Dr. Henkel will insert a number of titanium posts into your jaw; these will act as “roots” that naturally fuse with and sustain the natural bone tissue in your jaw. Once an appropriate amount of time has passed for this to happen, we’ll precisely place your denture and secure it into place, resulting in a fit that feels comfortable, stable, and natural. If you don’t already have dentures, we’ll be happy to create a custom-made set for you too. Having dental implants placed can be a complex procedure, and it is one that requires true expertise and finesse. When you come to Dr. Henkel for your implant needs, you’ll feel secure in the fact that not only does he specialize in placing and restoring dental implants, he has also studied them extensively and even teaches and lectures about the service. Don’t let loose dentures ruin your smile a moment longer – call our Horsham or Philadelphia office today with any questions you have about implant-supported dentures, or if you’re ready to schedule your appointment. Horsham Dental Elements is committed to providing precise, comfortable care to our patients from Montgomery, Philadelphia, Horsham, Bucks County, and beyond.